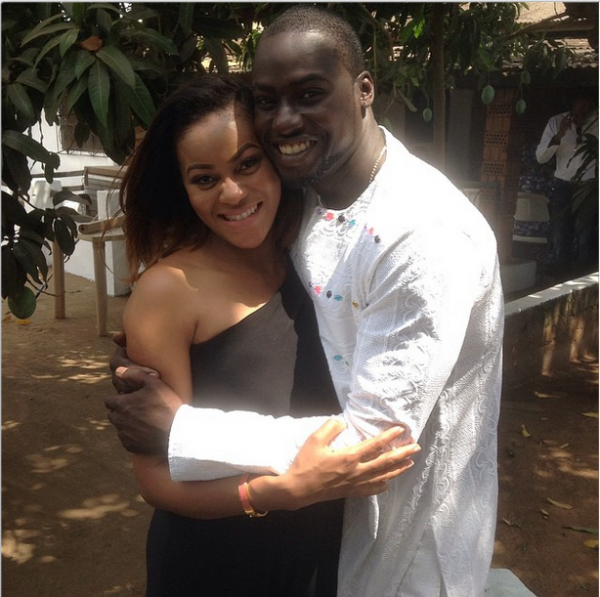 Back in September, engaged actors, Damilola Adegbite and Chris Attoh welcomed their baby boy, Brian, in the United States. 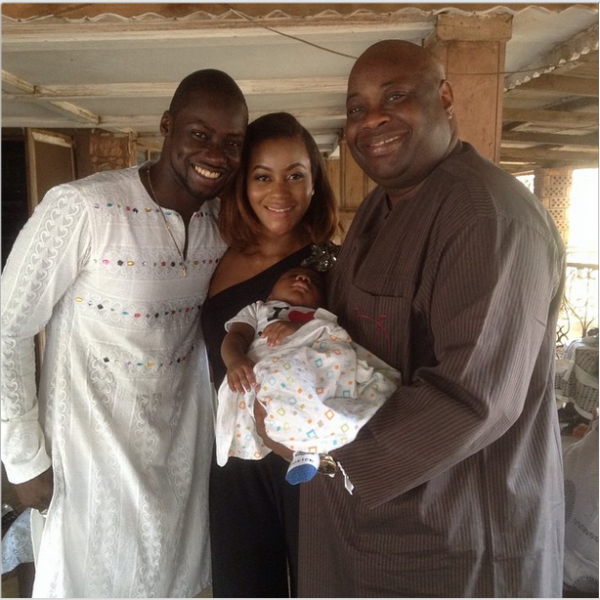 Now back home, Damilola and Chris just presented the baby to their family today in Accra, Ghana. The couple chose to do it in the traditional way with elders from both sides of the families in attandance. 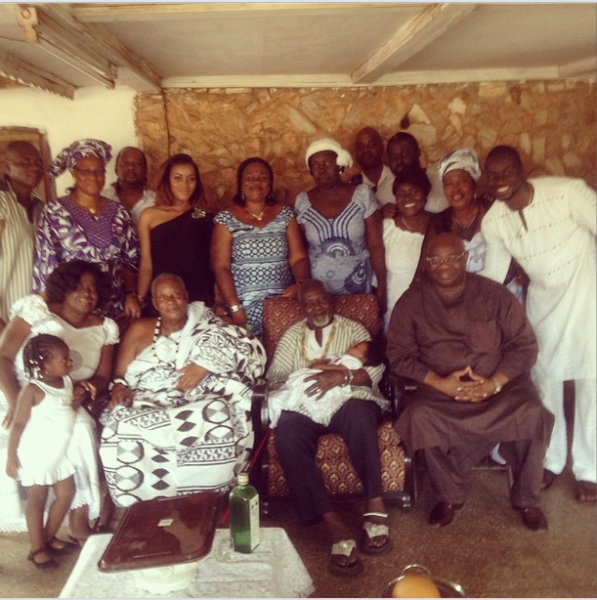 Ovation publisher, Dele Momodu, was also there and shared these pictures on his Instagram page.